Wilkinson is my weakness. No matter how much I tell myself I'm "just popping in for...", I will come out with a horde of homewares, stationery, storage boxes and so on. Needless to say, I couldn't resist when I saw these gorgeous make up brushes. To be honest, I bought them because I was hoping they'd be cheap Real Techniques dupes. They look alike so they must be similar, right? Obviously the first thing you notice is the design. I love the sleek, sophisticated look of them and they look great on my dressing table, even if they are a teeny tiny bit close to the mark in terms of Real Techniques. Each brush costs around £3 so they're an absolutely bargain and, surprisingly enough, are actually pretty good! 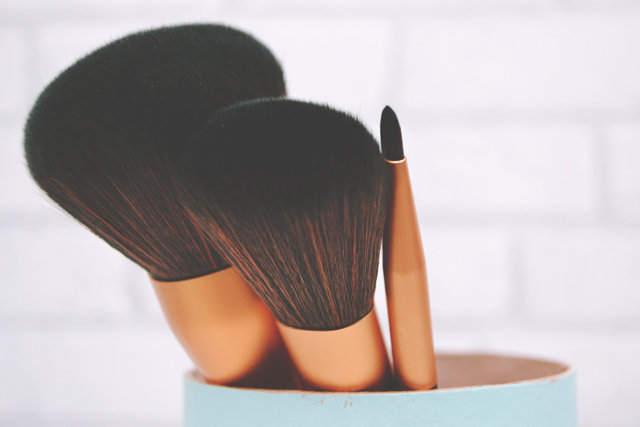 Of the three I bought (there is also a foundation brush but it's always out of stock when I visited, as well as lip, eyeshadow and other basics), the powder brush is by far my favourite. It's absolutely huge and has a fluffy quality that defies its low price. When using with my powder, I find it picks up a decent amount of product and applies evenly in just a couple of swipes. Unfortunately, the blusher brush isn't quite as great for me. The brushes are more wiry which makes it difficult to apply evenly. No matter how much I try, I always end up with blotchy, inconsistent blusher. However, the concealer brush is more of a success. It's a decent size- fine enough for accurate application but still large enough to blend effectively. 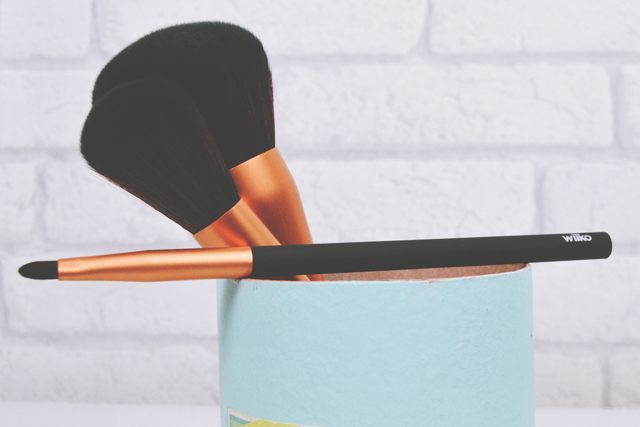 Using this brush, my concealer goes on evenly and I've found it very easy to blend outwards, although it does have a tendency to pick up too much product, even with a light touch. Although there are a couple of problems, I am astounded by the quality for such a great price. If only they'd restock the foundation brush! Well, now my favourite shop have out done themselves. No idea they even did these, but then I've never looked. Perfect for a quick top up for that price! Ahhh they look so soft and fluffy! I was looking at these brushes the other day! I need new brushes, as the ones I currently have keep leaving bristles all over my face! I'm popping to Wilkos tomorrow anyway for washing up liquid and cushions, so I might just have to splash out on a few! I am obsessed with Wilkinsons homeware section! These brushes are so beautiful!! I'm DYING to try them now!